Bosnia is an eponymous region of Bosnia and Herzegovina. It encompasses roughly 80% of the country in the north, while the other eponymous region, the southern part, is Herzegovina. Bosnia is an informal use for the whole country. 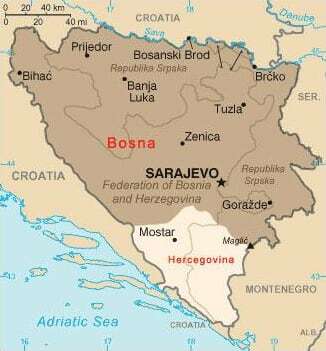 The two regions have formed a geopolitical entity since medieval times, and the name “Bosnia” commonly occurs in historical and geopolitical senses as generally referring to both regions (Bosnia and Herzegovina).